From Better Living Through Design, we discovered these German-made chunky crayons of pure beeswax and natural pigments. The box is so beautiful, it makes sense to buy two, one to use, and one to keep. 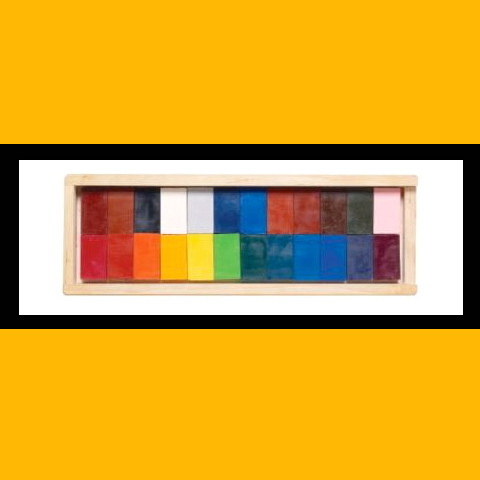 The 25 colours are derived from Goethe’s Theory of Colours. How very German. Buy them at Design Within Reach. We don’t usually post about modern product design, as there are already too many design blogs covering the territory too thoroughly. But this was too good to keep quiet about. Look at Goethe’s Colour Wheel (above). Compare and contrast to crayons.